Home » Paper Or Cloth Towels: Which Are Better For You? Paper Or Cloth Towels: Which Are Better For You? There’s always lots of chemistry in kitchens! They always tend to become all stained and dirty. There has to be something effective enough that can clean that mess up. Paper towels are the most traditional solution when it comes to cleaning up a spill, and they are not a good choice. They can become quite an expensive solution when there’s a lot of little spills happening every day. From an environmental aspect, paper towel isn’t a good option either. Even if the paper towel you use is recycled, you make a lot of waste, and you can avoid that. Efficiency – cloth towels are more efficient. They are made out of thicker fabric, which makes them absorbent. They also have a thicker pile for collecting dirt. Cost effective – cloth towels are reusable. Even using a rental system to keep a supply of clean cloth towels full is cheaper than buying rolls of paper towel. 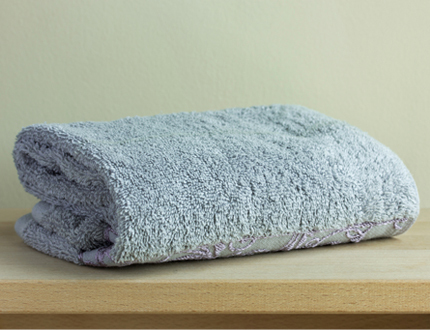 Environmentally friendly – apart from being reusable, cloth towels also reduce the amount of waste from your kitchen. We’ve come to a conclusion that reusable wipes work better. They are also good for the environment and are cost effective. But who will be cleaning them? And how can you be sure that they appeal to workplace health and safety regulations? There is a rental program that can take care of all these problems for you! We collect cloth towels for food and glass and launder them according to high standards. Afterwards, we deliver them back for you to use and reuse them. We conform to all relevant workplace health and safety requirements. We can provide you with you with colour-coded food wipes in order to prevent cross-contamination. We are also providing you with glass wipes for detailing and cleaning. Our rental service can make sure that there is no capital outlay. It means that the costs related to purchasing are eliminated, so you can rest assured you’ll always have clean towels ready for use. Now it’s even easier to run a commercial kitchen. Your kitchen is waiting to be cleaned up! You can try these Alsco’s cloth towels and make a decision for yourself!